Excellent and the staff were friendly, compassionate, kind, and professional from start to finish. They handled everything with the sensitivity and ease needed in the difficult area of death. I would highly recommend Tim Mathews funeral directors. They were fantastic in every way and many thanx and blessings to you all. I am so delighted that my parents made their funeral plans with Tim Matthews. He guided them every step of the way; was always there for support and advice; he took time with them and the rest of the family. When the time came to say goodbye to my dad, Tim was like another member of the family. His genuine caring was apparent throughout. Noting was too much trouble. Professional service with a personal touch. He took the time to ensure that the funeral he helped us plan was a fitting tribute to my dad. Tim and his family made sure our family were well looked after whilst making arrangements for my fathers funeral. 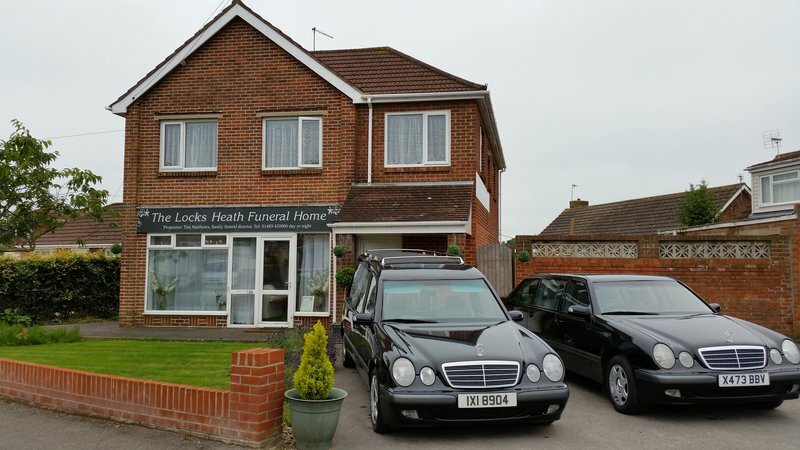 A caring and considerate family run funeral business. Would highly recommend. The loss of my Dad was a shock but Tim was so helpful and kind. Nothing was too much trouble, and he guided us through this time.Thank you Tim and your staff. Tim was brilliant from start to finish, nothing was too much trouble, always contactable at any time, when you have a million things running through your head. His naturally quiet, calm and sympathetic nature shone through. I can't recommend him high enough. I found Tim a real comfort and professional. He made what was an unexpected and tragic loss to a as nice a day as he he could. He was also praised by friends and family, some coming hundreds of miles for his thoughtfullnes and compassion on the day. Tim provided an excellent service at a difficult time for us. He could not of been more professional and caring. Would highly recommend. A good professional service maintaining compassion and dignity at all times. So very personal, helpful, understanding and informative. The whole of such a difficult time was made as easy as it could possibly have been made from start to finish. Providing so much more than just a job in every way. An excellent service. Thank you. Tim provided a First Class service to our family recently, he was available to answer any questions we had and guided us through a sad time. Would highly recommend him...very many thanks. Tim couldn't have been more accommodating. He listened brilliantly to what my Fathers wishes and preferences would've been, suggested some ways of making it better, organising a celebrant to ease the process of the service, and did it all with an appropriate sense of humour which we really valued throughout the process. Wholeheartedly recommended. Tim was fantastic in every way from start to finish. He provided a personal & extremely high level of service, nothing was too much trouble & it was clear that he takes a great deal of pride in his work & getting everything right was as important to him as it was to us. He also recommended the minister, Peter White, who conducted the service perfectly & again with attention to detail. Could not have asked for more, a potentially difficult day was made easy. Would absolutely recommend. Tim Matthews gave an excellent service. Friendly, caring and professional, nothing was too much trouble. We would highly recommend him. Mr Matthews was helpful and sympathetic during the preliminary stages of arranging the Funeral. His advice was of considerable assistance. Thereafter he provided an extremely efficient service and delivered in full on all of his obligations thereby ensuring the Funeral Service was a fitting tribute to the deceased. Tim gave us a personal, sensitive and very professional service and the funeral went exactly as the family wished. Tim's knowledge and contacts with key people helped everything to go smoothly. We would be happy to recommend his services to anyone. Excellent service from start to finish. Would highly recommend. Thank you Tim. Richard. Tim is the most caring and professional person that you are ever likely to meet! He dealt with everything and more taking the pressure off our family in this very emotional time. I would recommend Tim to anyone without any hesitation. Thank you Tim. Very caring and supportive at a sad time. Tim made time, at short notice, to meet our family to arrange our Father's funeral, especillay appreciated as our family are spread across the southern counties. No time was a problem for visiting Dad to say farewell at the funeral home and Tim made sure everyone's needs were met. The funeral itself was exactly as we wished it to be, and Tim and his team were very courteous and respectful throughout and this confirmed that we chose an excellent funeral director. Everything was taken care of , very helpfull and provided a professional service. Tim was so amazing when managing the funeral of my sister. He is very much, a caring person and nothing was to much trouble for him as he dealt with everything we we needed to make the day especially memorable. Clearly someone with extensive experience in dealing with these situations; Tim always conducted himself with empathy and professionalism at all times. We thank him so much for helping us through this difficult time. Very professional, courteous and compassionate. Tim makes you feel at ease during difficult times. 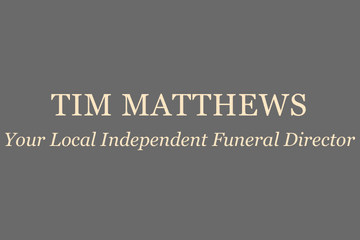 Tim Matthews Independent Family Funeral Director will provide you with a free obituary as part of their service.